The Sin City: A Dame to Kill For character poster for Eva Green was banned by the MPAA. Why, you ask... check out the Sin City: A Dame to Kill For Eva Green poster and see. 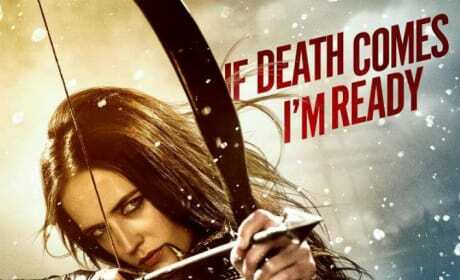 Eva Green is ready for action as her 300: Rise of an Empire character poster has debuted. We now have three 300: Rise of an Empire character posters after Lena Headey and Jack O'Connell.